Many of life’s most basic concepts are the most reliant on relativity. Take percentages, for example. Whether a certain percentage is good or bad depends entirely on what it’s a percentage of in the first place. If you were offered 5% of a pizza, for instance, you’d likely find the portion a bit lacking. Should someone threaten to break 5% of your bones, however, you’d probably feel that to be an excessive amount. When it comes to credit card rewards, where the typical card offers 1.5% cash back, cards offering 5% cash back rewards are about as good as it gets — more than three times as good, in fact. A variety of cards offer 5% cash back rewards, including options from several major banks, as well as store cards and credit unions for a more tailored choice. 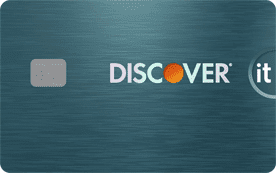 Similar to Amex, Discover is both a credit card processing network and a credit card issuer — one of the largest in the world. 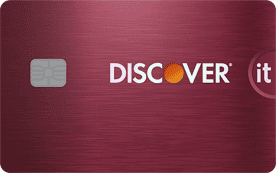 Discover is unique in that all of its credit cards come with some sort of rewards, including the Discover it® Secured, and the bulk of the Discover it® line offers 5% cash back rewards in rotating categories. Rather than a traditional signup bonus with a minimum spending requirement, Discover created its Cash Back Match program, which automatically matches all the cash back you earn during your first year on your anniversary. This effectively boosts your bonus category cash back rewards to 10% for the first year. 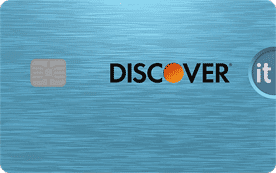 The Discover it® Balance Transfer pairs two great credit card perks: cash back rewards and an intro 0% APR deal. Balance transfer offers can be a great way to make credit card debt more affordable by reducing or eliminating your interest rate for the entire introductory period. The 5% bonus categories offered by the Discover it® Student Cash Back provide some of the highest cash back rewards of any student card. You can keep up-to-date on the latest (and upcoming) bonus categories by checking out the Discover it® rewards calendar. Don’t forget to activate your bonus category each quarter to earn your 5% cash back. Chase, formally JPMorgan Chase, is one of the largest credit card issuers worldwide, boasting more than 93 million cardholders. With more than 20 options for consumers and small businesses, Chase’s selection of rewards cards is sure to appeal to just about any cardholder. The Chase Freedom® operates with rotating bonus categories, meaning you’ll earn 5% cash back in a new category each quarter. You’ll need to activate your bonus category each quarter to earn rewards. Check out the Chase Freedom® rewards calendar to keep track of the current — and upcoming — bonus categories. The Ink Business Cash℠ Credit Card from Chase offers big rewards in common business-related categories, like office supplies and communication services. You can also earn on everyday necessities, including dining and gas. The Ink Business Cash℠ Credit Card also comes with a few extra perks, including an introductory APR offer and employee cards at no extra cost. To top it off, your Ink Business Cash℠ Credit Card won’t charge you an annual fee. Originally founded as an express mail service more than 160 years ago, today’s American Express is a multinational financial company functioning as both a credit card processing network and one of the top five credit card issuers in the world. Amex offers a wide range of credit card products, including both consumer and business credit and charge cards. 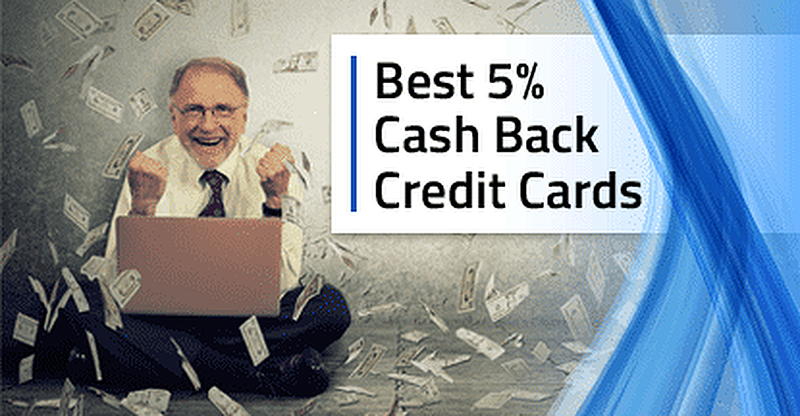 The Blue Cash Preferred® Card from American Express is one of the few cards on the market to top the 5% point, offering unbeatable 6% cash back on grocery store purchases. The card’s other category bonuses are still highly competitive, and you’ll receive unlimited 1% cash back on all other purchases. Make sure you spend about $31 a week (or more) on eligible grocery purchases with your Blue Cash Preferred card to ensure you at least break even on the $95 annual fee. The SimplyCash® Plus Business Credit Card from American Express is designed for small business owners, providing 5% cash back at US office supply stores and wireless service providers. In addition to your main bonus category, the SimplyCash® Plus card also provides 3% cash back in a bonus category you can select. The available choices include US gas stations, restaurants, and more. U.S. Bank’s parent company, U.S. Bancorp, can trace its ancestry back nearly 150 years. The modern U.S. Bank is a popular consumer bank and credit card issuer, with both branded and co-branded credit card options, including several cards available only to U.S. Bank customers. The U.S. Bank Cash+™ Visa Signature® Card is available to everyone (member or not), and it is one of the few rewards cards that allows you to select your own bonus categories, giving you more control over the rewards you earn. You can choose two 5% cash back categories, as well as an extra 2% bonus category. You can choose new cash back categories each quarter, allowing you to customize your rewards to your needs throughout the year. Cash back earnings are limited to the first $2,000 in combined purchases each quarter. The modern world is becoming increasingly reliant upon customization, with niche options available in almost every industry — including credit cards. In this case, you can often earn bonus rewards or receive exclusive offers for the brands you shop with most often by obtaining a store-branded credit card. That said, the majority of store cards are closed-loop, meaning you can only use them for branded purchases. The Amazon.com Store Card is ideal for regular Amazon shoppers, particularly those who already have an Amazon Prime membership, as membership unlocks the 5% bonus cash back rewards. While the best perks are reserved for Amazon Prime members, non-members can still enjoy the special financing offers available to eligible Amazon orders of $149 or more made with your Amazon.com Store Card. The Target REDcard is a great option for shoppers who spend a lot of time — and money — in their local Target. Rather than cash back that you redeem later, the Target REDcard provides instant gratification via a 5% discount at checkout. Perhaps the best part of the Target REDcard’s 5% discount is that you can stack it with both manufacturer coupons and Target coupons to really compound your savings. The Lowe’s Advantage Credit Card gives you a choice of rewards, depending on the size of your purchase. For purchases less than $299, you simply receive a 5% discount at the register. For purchases of $299 or more, you can choose the 5% discount or a special financing offer. If you choose to receive special financing, remember to pay off your entire purchase before the end of your financing terms. If any of your balance remains when your special financing expires, you’ll be on the hook for interest for the entire purchase amount. A local staple in many communities, credit unions aren’t like your typical bank. Instead of a board of directors or investors who must be satisfied, credit unions are owned by their members, with a member-elected council who makes the important decisions. As such, credit unions often offer better terms and interest rates than larger banks. At the same time, most credit unions require that you become a member to use their services. The Nusenda Credit Union is based out of New Mexico, with 19 locations across the state, but the organization has more than 5,000 shared branches around the country. The Nusenda Credit Union Visa® Platinum Cash Rewards Card provides 5% cash back in quarterly rotating categories, which include popular categories like gas and restaurants. New cardholders can also enjoy 2% cash back on all purchases for the first 90 days. Other great features of the Nusenda Platinum card are its lack of an annual fee and the fact that it charges no balance transfer fee. Fort Knox Credit Union is a Kentucky-based organization with more than a dozen branches around the greater Louisville area. The Fort Knox Visa Platinum Card offers 5% cash back on gas purchases and 1% cash back on all other retail purchases. In addition to offering cash back rewards, the Fort Knox Platinum card won’t charge an annual fee. You can also enjoy fee-free balance transfers and interest rates as low as 10.25% APR (for qualified applicants). Certain things in life are entirely a matter of perspective, and few things exemplify this better than the process of qualifying a particular amount. For instance, 5% of something can be a lot, or a little. You’d probably be quite cramped perched on 5% of a bus sea — but 5% of a 747 airliner would likely provide you with ample leg room. For credit card rewards, 5% is very much the cream of the cash back crop, and the ideal that most reward-seekers are, well, seeking. Thankfully, whether you want to choose your 5% bonus categories or have them rotate each quarter, you can likely find a quality 5% cash back card that suits your spending lifestyle. How Do You Get Cashback on a Credit Card?